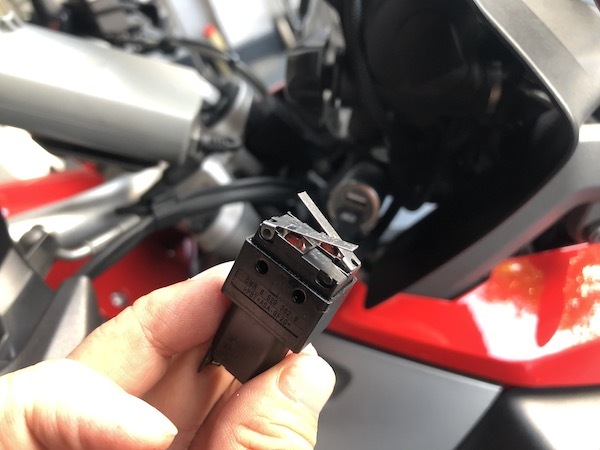 At 67,000km, my BMW R1200GS clutch switch failed. Symptoms include 1) not being able to start the bike while in gear and 2) not being able to switch riding modes while the bike is in motion. You see, for either of the above 2 to work, the ECU must know that the clutch lever is FULLY pulled in. 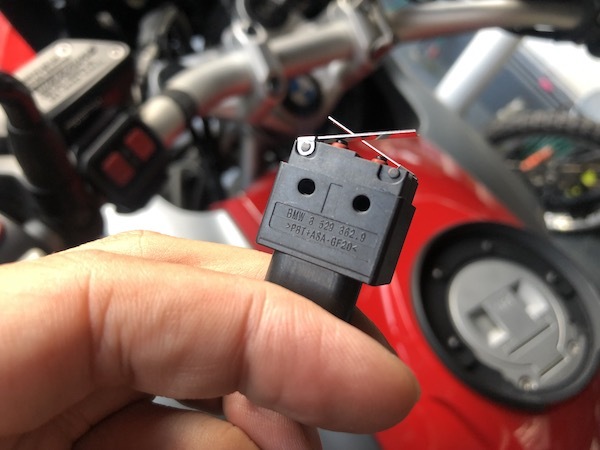 The R1200GS that comes with cruise control and/or shift assist pro use a set of dual microswitch instead of the typical single microswitch. 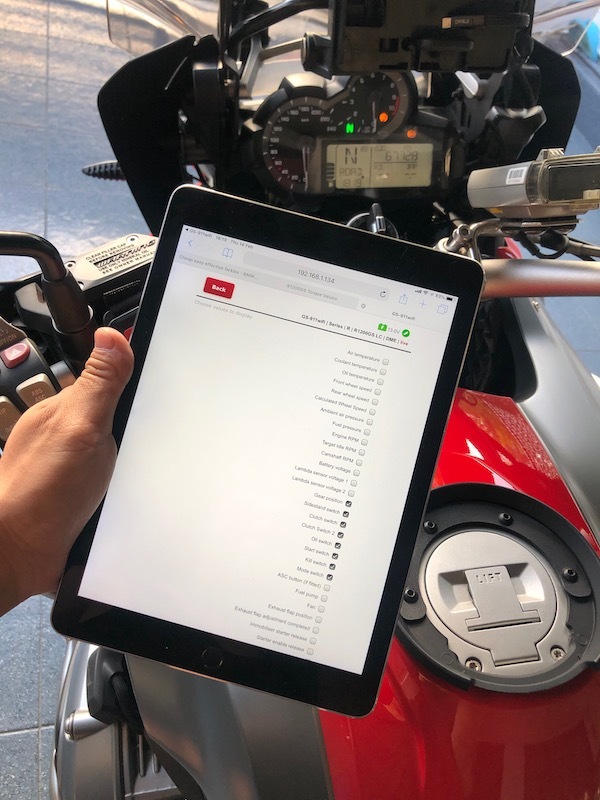 The first part of the switch senses that the clutch lever is being slightly pulled in, and the second part senses if the clutch lever is fully pulled in. 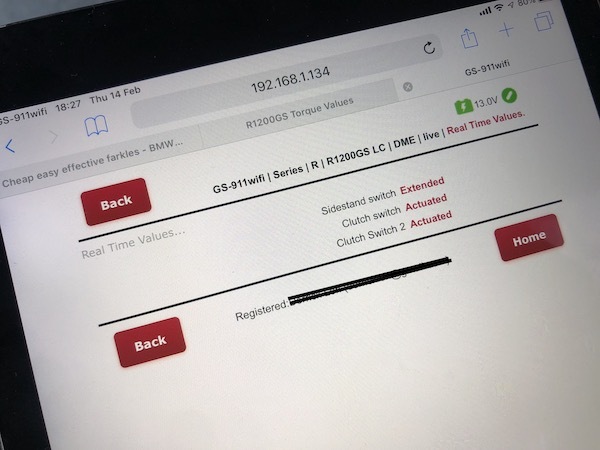 Using the GS-911 tool to diagnose the clutch switch fault. 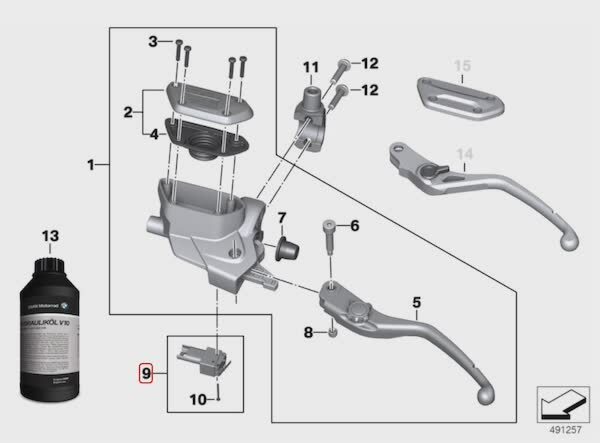 Pulling in the clutch lever fully should actuate BOTH the clutch switch and the clutch switch 2. Removal of the switch was very simple. Just required a tiny torx bit. The switch is held in place by just 1 screw. 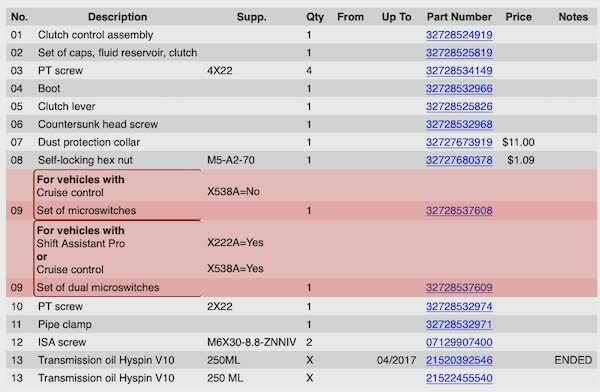 The clutch switch is item #9. 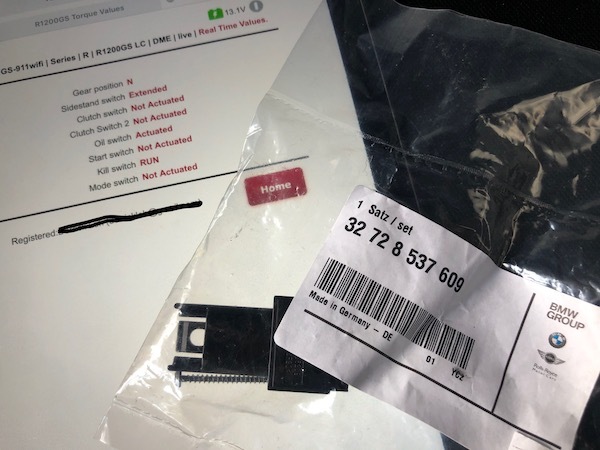 The correct part number for my bike is 32728537609. The removed dual microswitch assembly. I first attempted to repair the existing switch by flushing the contacts with a generous dose of WD-40. Perhaps it was some rusty contacts? Or maybe some road grime got lodged between the electrical contacts? Results – no joy. While it DID appear to help a little – the switch would now SOMETIMES actuate. But it still wouldn’t work reliably enough. So, I got brand new set of microswitch. Yikes! The new set of dual microswitches cost me $80! PN: 32728537609. New clutch switch for my BMW R1200GS LC. 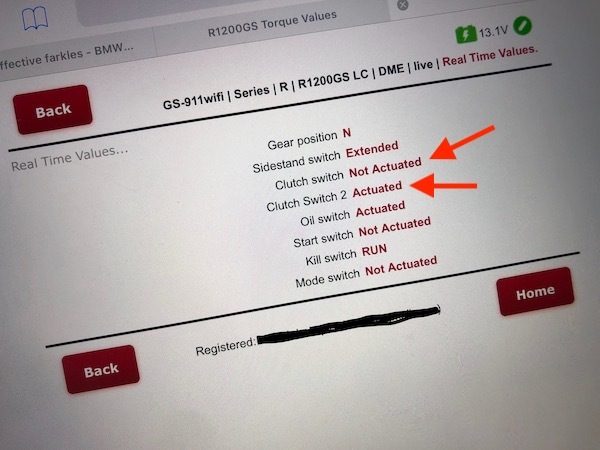 Verify that the new clutch switch is working properly. Good info. Thank you for sharing.